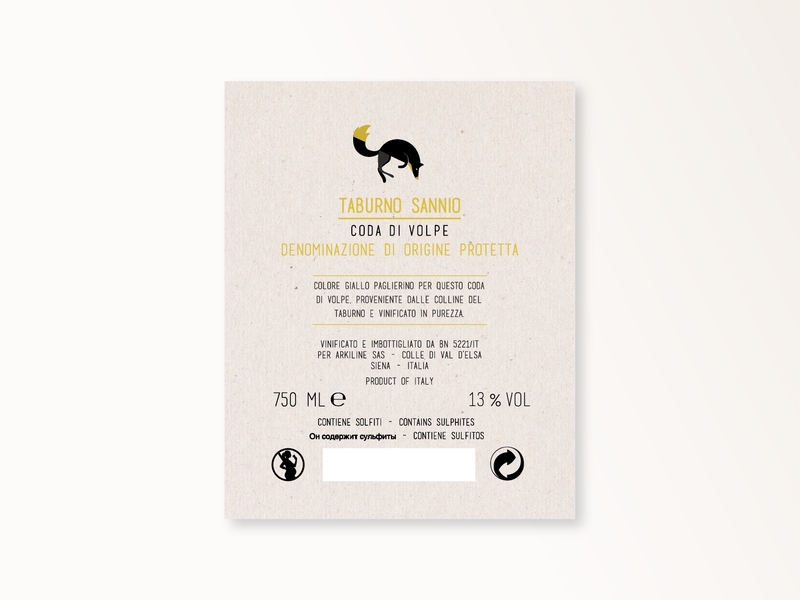 The label represents the skyline of the territory where this wine comes from. 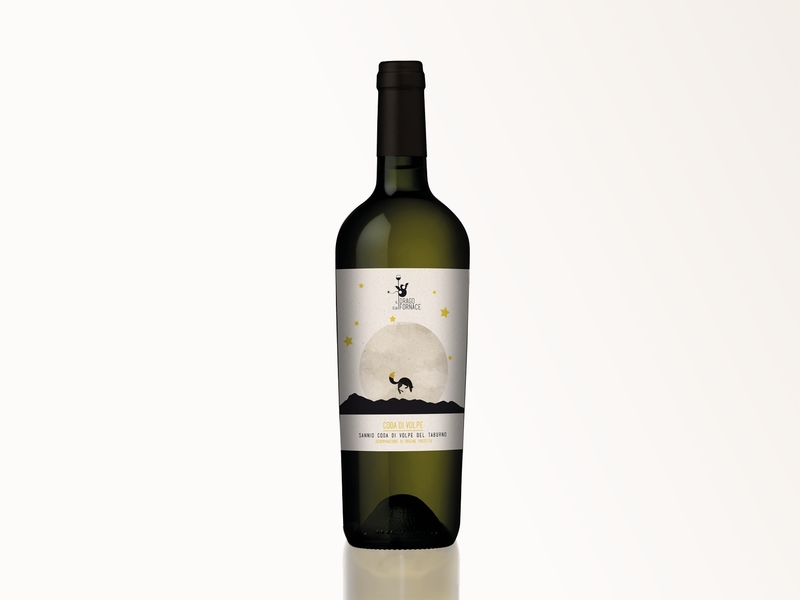 This “nocturnal” image is inspired to the name of the vineyard and a fox hunting in moonlight is its main subject. 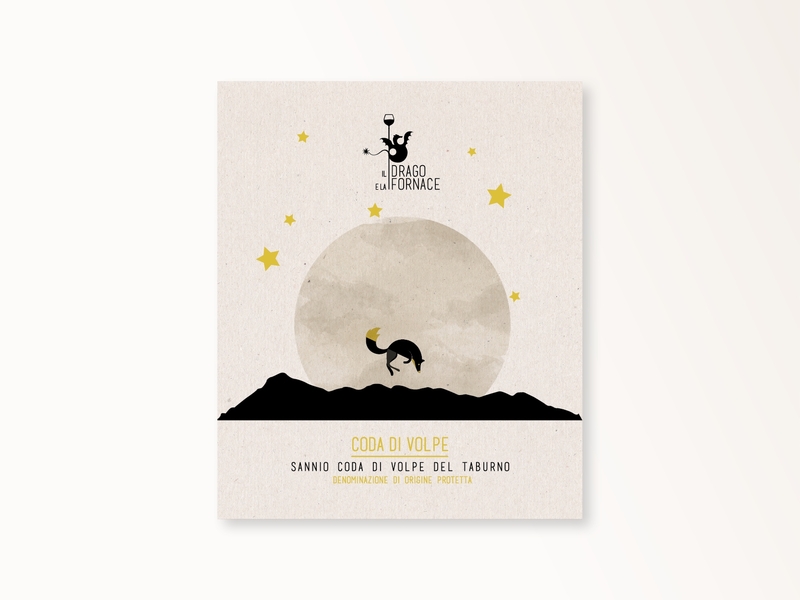 The moon emerges from the Taburno hills, among many shining stars. 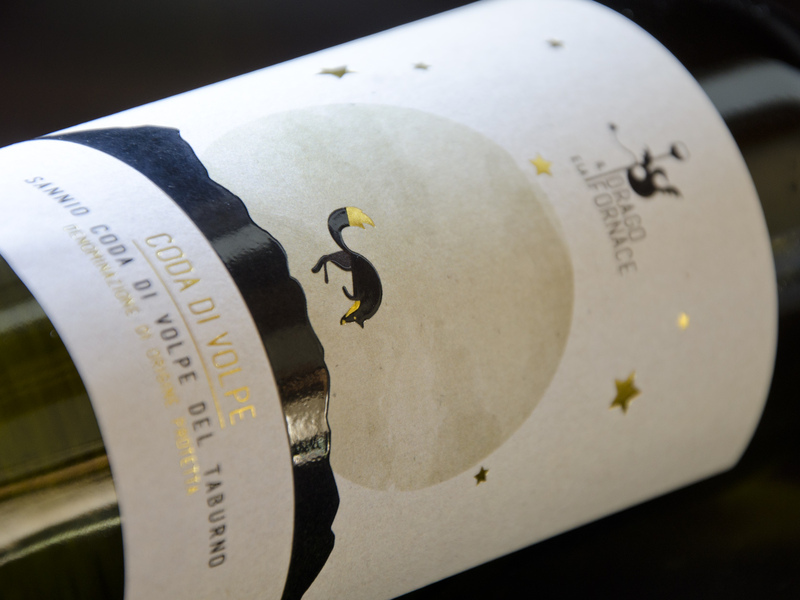 Special paper for white wines, watercolor print on the moon, hot foil gold on the stars, on the tail, on the name and on the denomination.